slide & hide power plugs. internet or video use to your iPhone 6 / 6S. to protect your iPhone screen from scratching. Smart charging and smarter recharging. at the flip of a switch. 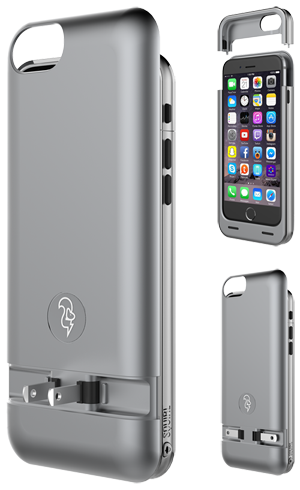 Squirl™ is available in 3 iPhone 6 /6S matching colors! NO CORDS! – PATENTED slide & hide Power Plugs in a Lightweight slim case design. BUILT IN BATTERY! 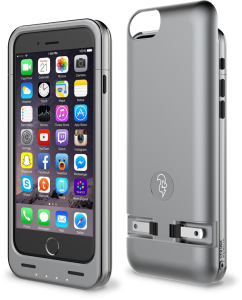 – Squirl away DOUBLE the battery life of your iPhone and use it when you need it. 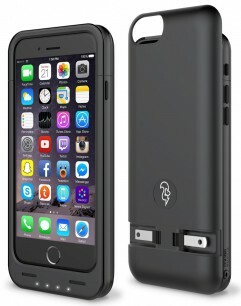 2300mAh battery with LED, battery level indicator, Power-Now & iPhone-First functionality and integrated acoustic front speaker. 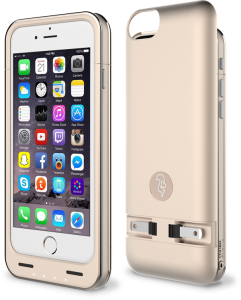 Maximum 360˚ protection using Shock-Dispersion Technology in a light-weight, stylish design that complements your iPhone 6/6S.